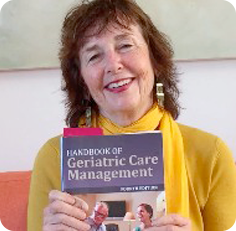 Does Adding Geriatric Care Management to PDHC Help Keep Clients From Readmits in E room ? A GCM’s meticulous monitoring of your home care client stps keep from cycling through the emergency room and assures that they remain at home and out of hospitals to a lack of community support & home care. •Once they are in hospital often you lose case to SNF. Medicare penalizes hospitals if patients return within 30 days of discharge in a cycle of readmission. Therefore your local hospitals will be much more likely to make referrals to your PDHC, if you can keep your clients at home after discharge. Reduced re-hospitalizations demanded by Medicare are largely the result of the improvement in home safety, medication management, care coaching and education and follow up visits to the primary care physician and specialists. This is the real heart of geriatric care management job. If the client is admitted for a scheduled procedure ,GCM’s provide a concierge service from admission to discharge to home.. The GCM will pick the client up at the hospital, go the pharmacy, make sure all meds set with your RN, arrange medical transpiration to doctors appoitments arranged and take the client to most appointments themselves. They work ahead with the hospital to know what level of care needs to be changed at discharge, what home safety arrangements need to be made. Plus their vigilant care monitoring will include visits to the hospital while the patient is hospitalized more, intense home visits post the discharge to make sure the client’s, medication, home safety, transportation, and instructions to caregivers are delivered.